Folklore, legends, myths and fairy tales have followed childhood through the ages, for every youngster has a wholesome and instinctive love for stories fantastic, marvelous and manifestly unreal. The winged fairies of Grimm and Andersen have brought more happiness to childish hearts than all other human creations. 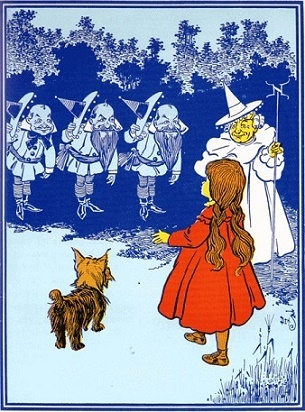 The story of "The Wonderful Wizard of Oz" was written solely to please children. It aspires to being a modernized fairy tale.